Friday begins another huge weekend of competition on the DCI Tour, with a Tour of Champions series event on Friday in Nashville as the prelude to the DCI Southeastern Championship presented by Lone Star Percussion on Saturday in Atlanta. Both will be webcast through the DCI Live! streaming video platform. The Masters of the Summer Music Games presented by Jupiter, Mapex, and Majestic kicks off the weekend’s events, with the first corps stepping off on Friday at 8:30 p.m. ET / 7:30 p.m. CT / 5:30 p.m. PT. The next day, the first corps in Atlanta takes the field at 2 p.m. ET / 1 p.m. CT / 11 a.m. PT. DCI Live! webcasts are available for viewing on desktop computers, with mobile streaming available exclusively through the DCI.org iPhone and iPad app, or the DCI.org Android app. The webcasts are accessible through a season-long subscription package or separately by pay-per-view. 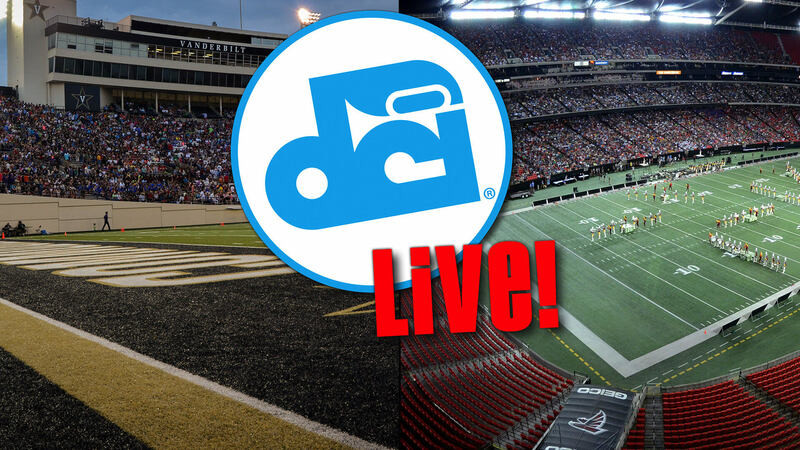 Register today for a 2016 DCI Live! Subscription. • The Masters of the Summer Music Games is the fourth of eight Tour of Champions series events on the schedule in 2016. It’s been two years since corps have competed at Vanderbilt Stadium in downtown Nashville, and the Blue Devils were the last corps to notch a win at the venue in 2014. • The race to be the first corps to break 90 points is on, and Nashville may be the first place that corps are able to pass that elite scoring milestone. Blue Devils was six tenths of a point from doing so on Wednesday in Mississippi while Bluecoats was just fourth tenths from 90 on the same day in Arkansas. Carolina Crown hasn’t been in action since Tuesday, but with a number of rehearsal days under its belt, the corps could also be in contention for 90 points as well. • Open Class corps Music City gets an opportunity to perform at this Tour of Champions event. The corps has not competed since July 16 in Georgia, so this performance in front of a hometown audience will be the perfect kickoff to the last leg of the corps’ summer tour. Every event from here on out will ramp up to Open Class World Championship Prelims, which is now just over two weeks away. • The Bluecoats and Blue Devils have been among the corps to beat this season. Last seeing each other on Monday in Dallas, the Blue Devils took the lead besting the Bluecoats by just four tenths of a point. The placements were opposite in San Antonio where Bluecoats finished first, Carolina Crown second, and Blue Devils third, showing just how close and unpredictable this season’s competition has been. • Last year Carolina Crown became the first corps since the 2006 Cavaliers to beat the Blue Devils at the Georgia Dome. With this major regional event often proving to be a competitive springboard for corps into the final weeks of the season, Saturday will be an opportune time for Crown to take a page out of 2015’s playbook to edge ahead into the top spot. • Members of the Cavaliers should be excited to make a return to the Georgia Dome on Saturday after a corps-wide illness kept them sidelined in 2015. Coming within a quarter point of the Cadets last weekend in San Antonio, the Green Machine may be poised to make a move up the leader board in Atlanta if it can catch the East Coast corps stuck in statue mode. • Also making moves in recent events has been the Academy. The Arizona corps continues to position itself as a legitimate top-12 contender after passing up the Boston Crusaders for the first time in the corps’ history last Saturday in San Antonio. Since that 12th-place finish, the Academy has continued to climb, passing up the Madison Scouts for the first time since 2009 on Wednesday by an ultra-slim margin of a tenth of a point. • In addition to the complete lineup of all 22 World Class corps, two Open Class groups will also take part in Saturday’s festivities. Heat Wave of Florida and Southwind, out of Alabama, will head to Atlanta for the final competition of their sophomore seasons. Also at the top of the event will be two local All-Age Class corps, Alliance and Atlanta CV, along with Carolina Gold from Raleigh, North Carolina.